Many of our bar and bat mitzvah students engage in "mitzvah projects" throughout the year. Some of these projects may benefit from resources donated by members of the Temple Aliyah community. Each of these requests will also be publicized in an edition of [email protected]. Requests for donations for this year's students are listed below. 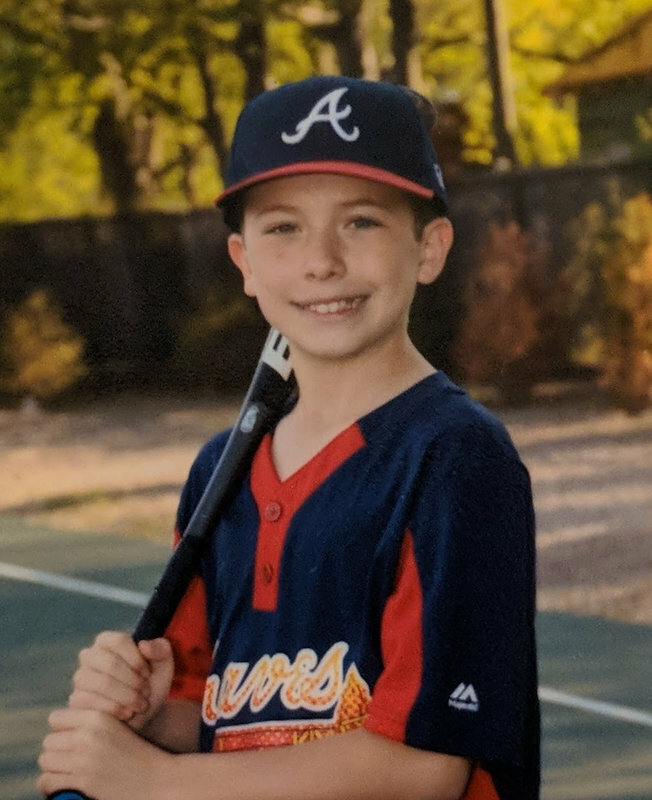 My name is Simon and my mitzvah project is for kids around the world who play baseball and softball and need equipment to be able to play. I am going to accomplish this by donating baseball and softball equipment to Pitch in for Baseball. I am trying to get and donate baseball equipment from friends, family, and hopefully you. Email me by going to https://www.simonettinger.com/ if you have equipment you would like to donate, I will come by and pick it up. I could also give you information of how you can get it to me. Thank you and play ball! Hi, my name is Zach Zalvan and I was diagnosed with Type 1 Diabetes when I was three years old. For my Bar Mitzvah project, I am meeting with people who are newly diagnosed with diabetes and helping them learn to cope with it. If you know of anyone who is newly diagnosed and would like to meet with me, please be in touch. You can email my mom at Debra Zalvan ([email protected]). My name is Dylan Michelow. I will be doing a sponsored 30-mile bike ride on the East Bay Bike Path in Providence, Rhode Island on Sunday, October 21st, 2018 to raise funds for Save the Children as my Bar Mitzvah project. Save the Children is a nonprofit organization that raises money for kids in need of anything from a place to stay to being reconnected with their families. In the US, Save the Children provides support in the following areas: advocating for children’s needs, helping kids from low-income families get ready for school, providing relief and recovery at times of disaster, and promoting kids’ social and emotional well being. Save the Children also has global programs that address issues like health and nutrition, education, protecting children from violence and other hardships, emergency relief, and hunger. I have chosen to raise money for Save the Children for many reasons. First, I could not even imagine being in the shoes of a kid in a natural disaster or being separated from my family. Another reason I chose Save the Children is because it supports a variety of programs that help children in many places with many different problems. Lastly, Save the Children has a great reputation for spending donated money wisely, and 90% of every donation goes directly to helping children and buying supplies for them. My goal is to raise $3,600. Please would you consider sponsoring my ride and supporting this important cause! To make a donation in any amount, please visit Dylan's Save Children fundraising page. My name is Matthew Matthew Haber, and I have created a Go Fund Me Page to raise money for the Jimmy Fund, a charity that raises money to support adult and pediatric cancer care and research at Dana-Farber Cancer Institute in Boston. I will also be growing out my hair over the course of the year and donating it to Locks of Love, a non-profit that provides hairpieces to financially disadvantaged children suffering from long-term medical hair loss. To make a donation in any amount, please go the my Go Fund Me page. My name is Jacob Furman and I'm collecting books/CDs/DVDs for a program called "More Than Words" which raises money to support youth who are in the foster care system, who are court involved, homeless or enrolled in out of school programs. The donations are sold in their retail store and online to support the program. If you'd like to make a donation there's a collection bin with a flyer with information about this program outside the office. Thanks so much for making my bar mitzvah project a success.